Nobody ever wants to deal with a mouse problem in their home. In spite of their small size, they can cause big issues not only for your home, but your family as well. Among other things, mice are known to spread disease through their urine and feces, damage important structures with their constant chewing, and contaminate food packaging through their scavenging – all of which spell bad news for the wellbeing of your home and family. Keeping your electrical wiring, pipes, and other important structures safe from damage, saving you money on potentially costly repairs. Preventing your family from being exposed to the dangerous diseases and illnesses that mice are known to carry. Sleep in peace again without the scurrying and pitter-pattering of mice running around in your attic or walls. No more need to throw out contaminated food containers. If mice have invaded your home, the expert mouse removal services at Critter Control® of Dallas are your best bet for relief. 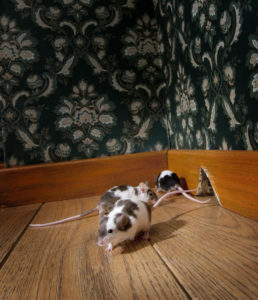 Don’t let your home or family fall victim to the dangers of a mouse infestation. Call us today at 817-222-1101 with any questions or to schedule your free home consultation.